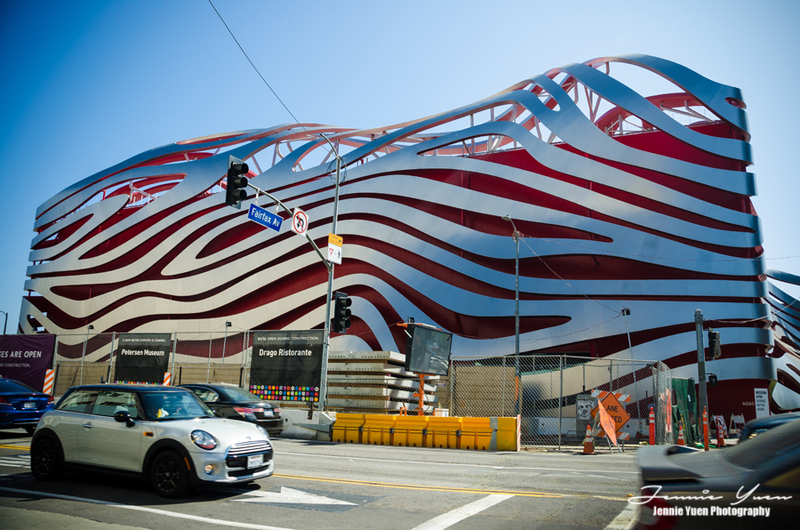 While in Los Angeles, California during our Spring Break vacation, we had a chance to experience the Petersen Automotive Museum located at 6060 Wilshire Blvd, LA. Since all of us (Hubby, our son, and I) are car enthusiasts, it was worth checking out. We were planning to find free parking along 6th St, but wasn't able to. We decided to park in the museum parking structure which costed $12 (for all day parking). The architecture of the building was fascinating and just learned that it was newly renovated in 2015. The on-display collection features Hollywood cars, race cars, vintage cars, bikes and more. Check out the full gallery with descriptions through my Facebook Page below.